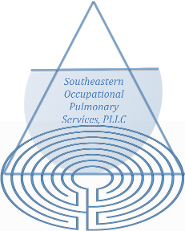 Preventative screening program, including pulmonary function testing. At our offices, we use a MGC Diagnostics Platinum Elite™ body plethysmograph to perform pulmonary function testing. Interpretation of results by a board-certified pulmonologist. We can work with existing industrial hygienists or assist in finding one to help with workplace assessment.